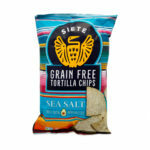 Cassava Chips by Siete | A review that cuts through the chip. 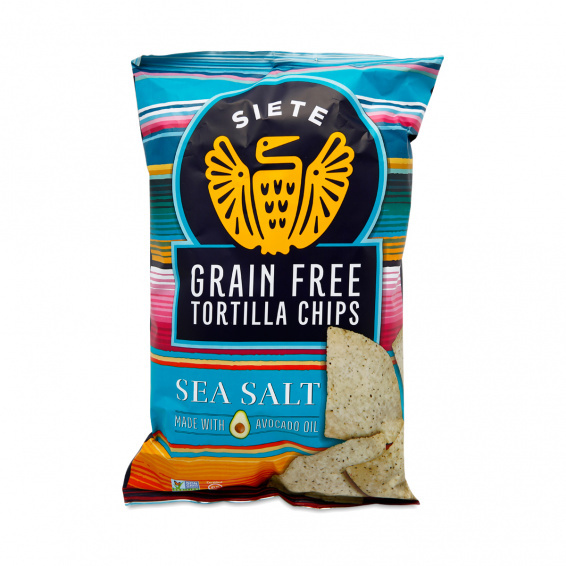 If Cassava Chips by Siete weren’t so expensive, I’d be eating a bag of them a day. These chips really are remarkable because they have just the right amount of salt and a very light and thin texture that makes them very hard to stop eating. I’ve always loved snacks, but have discovered in the last couple of years that the artificial oils and modified corn in these products is a common trigger for migraine headaches. While I’m not on a strict paleo diet, I now force myself to keep away from snacks that cause headaches and other, undesirable, unhealthy side effects. Cassava Chips are made from three ingredients: Cassava, avocado oil, and sea salt. Like the Siete Almond Tortillas I reviewed several months ago, Cassava chips give you a healthy alternative to grain-based foods and snacks. What is Cassava and how are the chips made? Cassava Root is you guessed it, a grain-free root. It is the root where the starchy liquid from tapioca originates. Essentially, Cassava Root is the ground ingredients of the actual root and mostly carbohydrates. There are two types of roots; sweet and bitter. Bitter Cassava root can actually be fatally poisonous, but supposedly you will not find this kind of root in the USA – only the sweet, safer roots can be found in the soil here. Obviously, any commercial form of cassava has under gone the proper and safe preparation to make it both safe and edible. Processing cassava root involves boiling or cooking to remove the hydrocyanic acid, which can cause cyanide poisoning. I am a bit confused, but it sounds as though even the sweeter roots need a great deal of cooking to insure they are safe to eat. There are other steps taken to insure consistency and thorough drying. Cassava processing is probably both science and art which might intimidate most of us from making our own cassava foods at home. Fortunately, we don’t have to do any Cassava processing to make or bake our own cassava-based foods. Rather than mess with the actual cassava root itself, you might consider an easier way to make your own cassava foods or snacks. Let the big boys do the cassava processing.